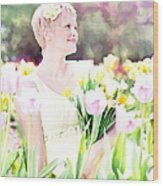 There are no comments for Vintage Val Spring Tulips. Click here to post the first comment. 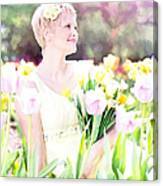 A vintage, 50s, impressionism style fine art photograph of a beautiful blonde woman in a field of Spring tulips. After learning about lighting on the job as a television news reporter for 14 years, I fell in love with digital photography. For years I was a portrait photographer specializing in natural light, but I also adore still-life, landscapes, and nature with my Impressionist fine art spin. 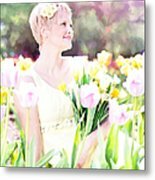 My photographs have graced book covers, magazine covers and articles, an album cover, advertisements and websites all over the world! Two of my photos were used as wall art in a Hallmark Christmas movie!! 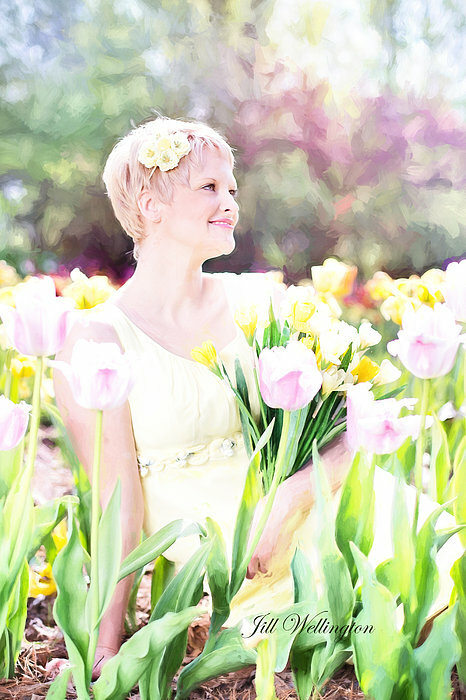 I love light, airy, dreamy, colorful and PRETTY! Check back often because I'm always adding new artwork. I hope you find something that would thrill you to see on your wall every day.